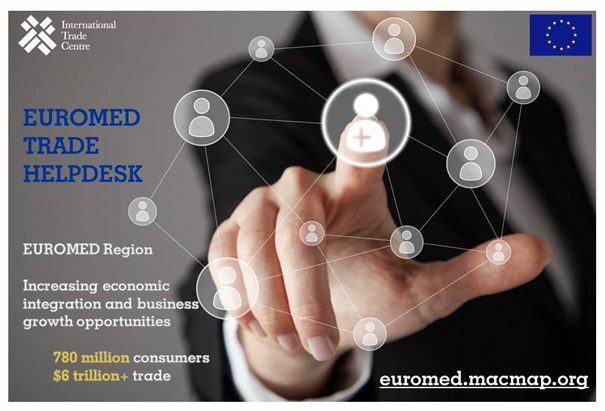 The International Trade Centre (ITC), together with the European Commission (DG Trade) have recently launched the EuroMed Trade Helpdesk: http://euromed.macmap.org/. The press release on the European Commission’s website can be found here: http://trade.ec.europa.eu/doclib/press/index.cfm?id=1679. By providing businesses with essential information about markets, tariffs and import requirements, the Helpdesk aims to strengthen economic ties between the European Union and nine Mediterranean partners, as well as between Mediterranean countries themselves. The purpose of the Trade Helpdesk is to help as many SMEs as possible benefit from this new tool.